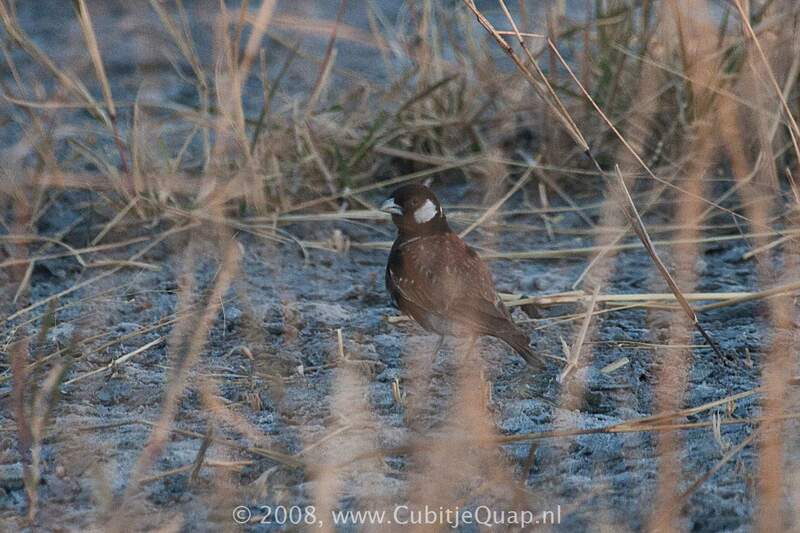 Differs from Grey-backed Sparrowlark in having a chestnut back and forewings and a wholly black crown. Female is mottled with buff and brown above, and has a black lower breast and belly; it differs from female Grey-backed Sparrowlark in having chestnut wing coverts. Juvenile resembles female but is paler below. Road verges and cultivated lands, sparsely grassed parts of thornveld, and lightly wooded areas. A short 'chip-chwep', uttered in flight.